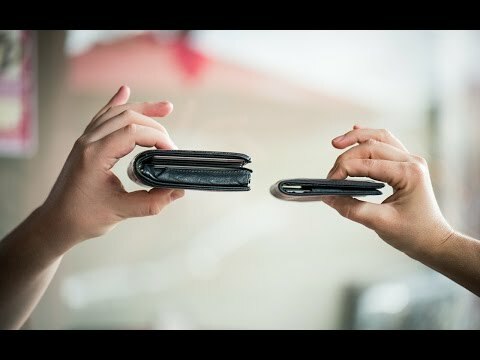 A thin, lightweight wallet featuring a unique card layout, built-in "flex factor," and an alloy lining that protects cards from identity theft through RFID. Dimensions: 4" x 4" x 0.25"
Years ago my wife gave me the Allett original as a present, I used it for several years until the stitching broke down on one edge. While I like the wallet, it was physically larger than what I was use to. I purchased a new wallet although was hacked twice in one year so shopped for a RFID wallet. 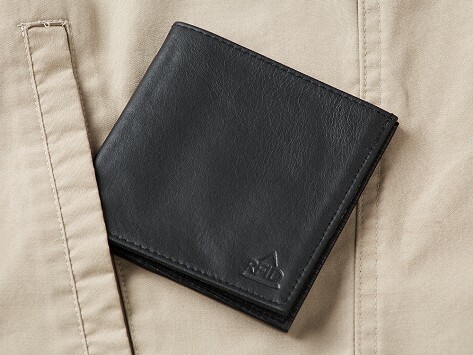 I came across the the Allett ID Wallet KeepSafe RFID item. I love it, and like it better than my first Allett. Size is perfect, light trim and compact. I keep (8) cards in it + my D/L. I like the fact there's a compartment behind the ID slot for either more cards or vehicle registration, etc. Bills are easier to remove than on the typical mainstream wallet. Some real thought went into the design of this item, larger when needed although more compact when desired. The RFID feature is the final aspect I can no longer live without. Great job, can't wait till it obtains that polished appearance like my 1st Allett.